The U.S. Justice Department has flashed a green light for the proposed merger of Cigna and Express Scripts, just six months after the two companies announced plans to join forces. Cigna is a health insurance provider. Express Scripts negotiates prescription drug prices with pharmaceutical companies. The two firms have maintained that their merged entity would have greater bargaining power that could lead to lower health care costs. “The value that we deliver together will help put our society on a far more sustainable path – one that helps health care professionals close gaps in care and supports our customers along their health journey,” said Cigna CEO David Cordani. Tim Wentworth, the CEO of Express Scripts, echoed that sentiment, predicting the merger would help "transform health care." The merger won approval in a minimum amount of time, with the government acting as soon as the six-month waiting period, mandated by law, expired. The companies say completion of the transaction is still subject to certain state regulatory approvals and filings required in connection with the transaction, including clearances from certain departments of insurance, and the satisfaction of all closing conditions. So far, the companies say they have received regulatory approval from 16 states. When the two companies announced their merger plans in March, they promised the union would lead to a full suite of medical, behavioral, specialty pharmacy, and other health engagement services to give customers more options when it comes to their healthcare. The companies said the combination would simplify the patient-provider relationship and lead to better outcomes. The combination of Cigna and Express Scripts may be just the opening wave of an expected consolidation within health care. CVS Health, a retail drug store chain, also has a pending merger proposal with Aetna, a major health insurance provider. The CVS-Aetna merger was announced last December with promises from both companies that the consolidation would lower health care costs. At the time, the two companies said they hoped to close the deal in the second half of this year. But the Cigna-Express Scripts deal, announced four months later, was the first to win Justice Department antitrust approval. However, a report in the Wall Street Journal quoted Justice Department sources as saying both deals would be approved. 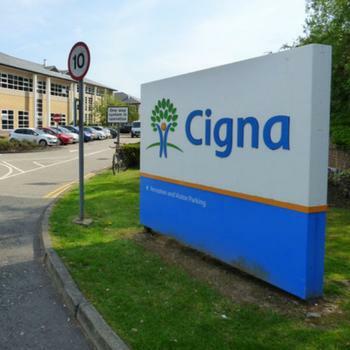 Both Cigna and Aetna have both experienced rejected merger proposals in recent years, mainly because they were trying to merge with competing insurance providers. The current deals match them with complementary but not competing health care businesses.